We had heard rumors for awhile that you can cook steak directly on top of the coals in your campfire and the juices would keep the steak from getting ashy. So naturally, we had to give it a shot. We figured best case scenario, it would make even more utensils unnecessary on camping trips. Worst case scenario, you scrape off the ashes and the steak is probably still edible. We started with a nice, marbled steak (saving its twin for the grill, just in case the first died a fiery death). 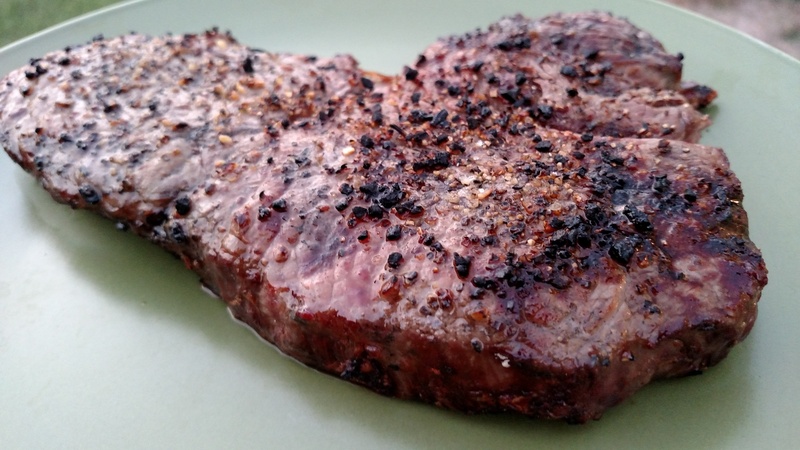 We seasoned it with Montreal steak seasoning, which ended up being a great idea because the large chunks of seasoning elevated the steak slightly and were delicious. We let the fire burn down for about forty five minutes, ending up with a lot of nice, glowing coals, which we broke up a little to reveal the orange centers before crossing our fingers and dropping the steak directly on top. After a few minutes, we turned it over to find a beautifully browned, sizzling steak. After cooking long enough to get it to a nice medium rare, we pulled it off the coals. 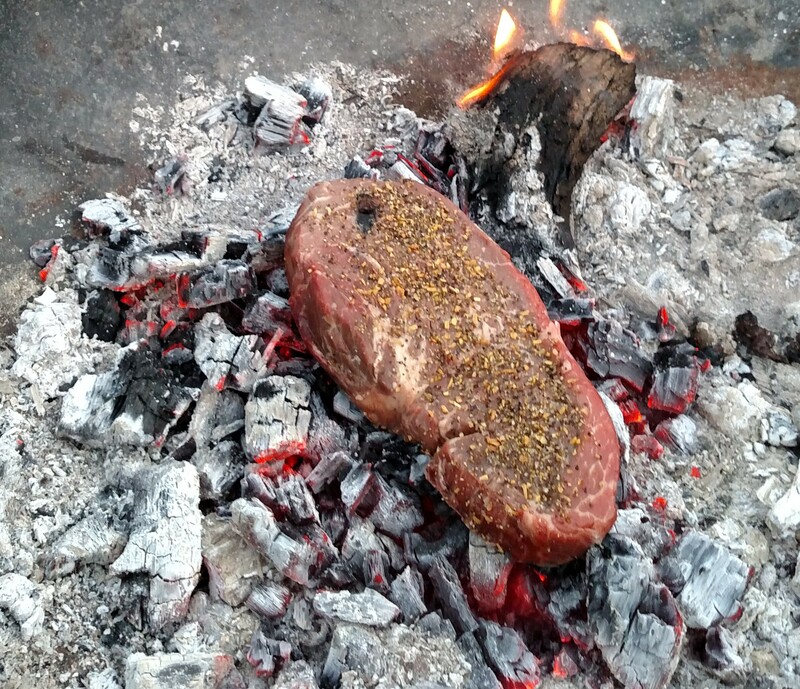 We did have to brush a couple of coals off the steak, but there was no ash residue to speak of. The steak was perfect—no ashes or burned taste at all, just a nice fire-grilled aroma and the unmistakable hint of smoke that all fire-roasted food gets. Delicious. So good news, in the future the lack of a grill doesn’t mean no steak. Just means you need to start a fire. If you want to make some dessert on a campfire without tinfoil or other cooking implements, check out our article here.